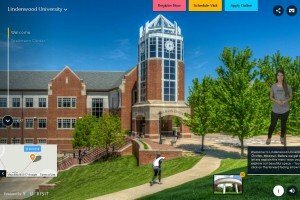 Now that you are a Lion, here are your next steps to completing your admissions and enrollment at Lindenwood University! In order to determine if you are eligible for federal, state, or needs-based aid, you must complete your FAFSA and submit it to Lindenwood. The FAFSA is found at www.fafsa.ed.gov, and Lindenwood’s school code is 002480. Once we receive your FAFSA and verification is complete, you should receive your full financial aid package within two weeks. If we do not have your social security number, we will not be able to access your FAFSA information. Please verify this with your admissions team. If you choose to use your Stafford Student Loan, you must complete your Master Promissory Note and entrance interview. Submit your enrollment deposit to confirm your attendance and become eligible to enroll in your courses. As a reminder, students are enrolled in courses on a first-come, first served basis. Enrollment deposits may be submitted through your student portal and are applied to your first semester of tuition. If you are a resident student, you must submit your housing deposit to hold your place in housing. Housing assignments are chosen through StarRez on a first-come, first-served basis. The housing deposit becomes refundable after one full-time residential semester. At the completion of your final high school semester, you must request to have your final transcripts submitted to Lindenwood University to complete your file in Admissions. Students must have all final transcripts submitted in order to check in. If you are a transfer student, you must submit final grades in order to receive credit for courses in progress. After enrolling, important information from campus departments will be delivered to your student email leading up to classes. Your username and password can be found in your admit email. We encourage all prospective and committed students to come to campus and experience life at Lindenwood. Follow us on Facebook, Instagram, and Twitter to find out what’s going on around campus. Throughout the month of July, look for your information packet in the mail on how to RSVP for orientation. Also, please be sure to check your Lindenwood student email account since this is where all Lindenwood communication will be directed moving forward.